The Autumn Tints quilt pattern is one of those 'happy-accident' blocks that forms a unique design when it edges meet. 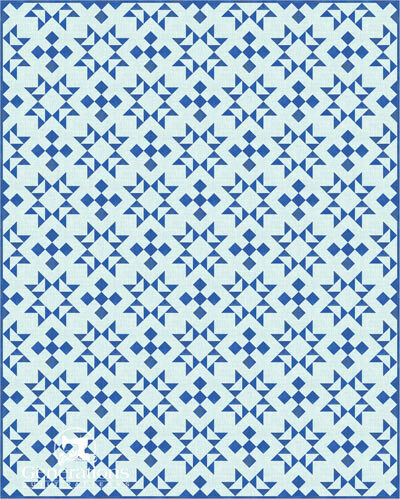 This secondary design draws your eye and obliterates the boundaries of the original patchwork. The block comes into focus ONLY if a sashing is added. 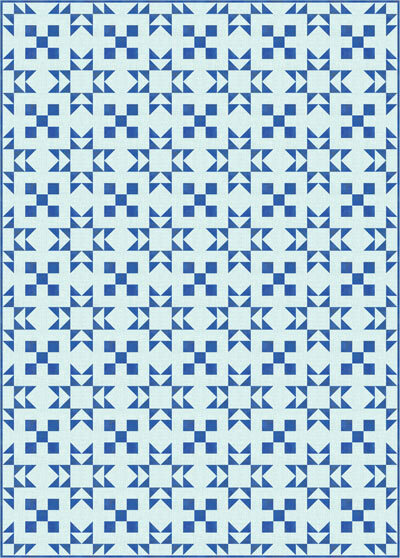 The design is 'bonus quilt-able', so a variation on the original cutting chart is provided for those of you who'd like to use this as a bonus quilt pattern. If you'd like to review how to make Autumn Tints blocks, click here. 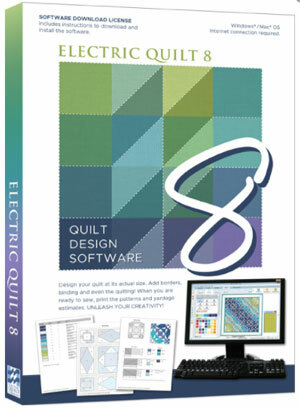 This program makes it so wickedly easy to try out different fabrics with just a few mouse clicks. I can't imagine going back to graph paper and colored pencils—or worse yet—simply keeping my fingers crossed. Fabric is much too expensive! 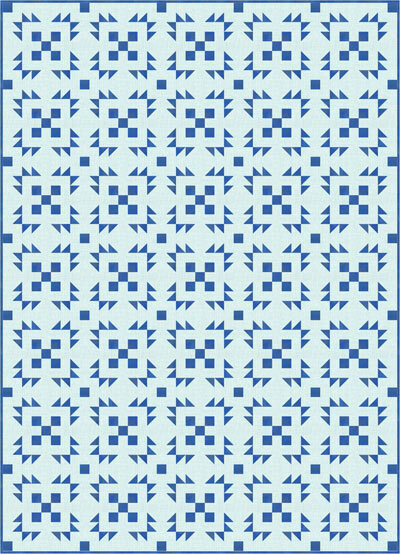 In each of the layouts below, the outlines around the patches and the blocks are removed to give you a better impression of the final quilt design. In the quilts with sashings added, they are included around the outside edges, too. In this first layout, the Autumn Tints quilt blocks are set edge-to-edge in six horizontal rows of 5 blocks each. 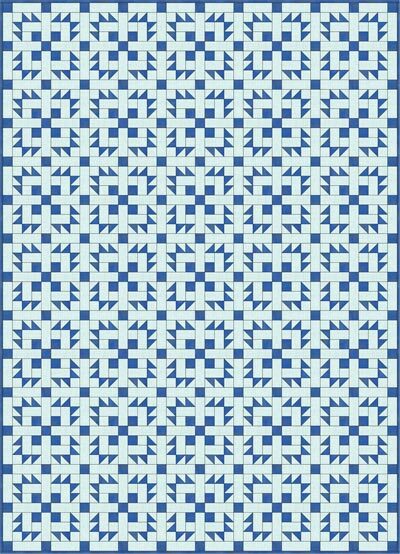 Isn't it interesting how the focus of this pattern is the Double T design that forms at the corners where the blocks meet? If you weren't familiar with the pattern ahead of time, I bet you'd be fooled. Don't you just love it when blocks do this? Remember that it's YOUR quilt! As you design your quilts, consider the construction methods you'd prefer to use. 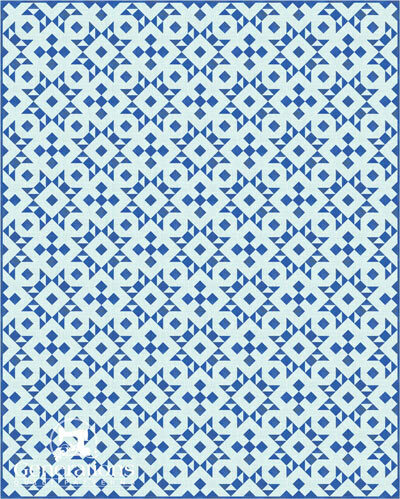 For example, with this first layout I would change the piecing to a variation of the Double T block (with our #3/#4/#5 unit in the corner). Then add a simple light fabric sashing and a dark fabric cornerstone. Paperpiecing the Flying Geese units in pairs would ensure beautifully matched points. Every.Single.Time. Don't be hesitant to change the construction to match your strengths and preferences. A quilt you like to work on is a quilt that you will finish! Adding a simple sashing strip in the lighter fabric and a cornerstone in the darker one creates a more traditional design with an easily recognizable block. One of the benefits to a sashing like this is it eliminates any extra matching of seams between the blocks. A real time saver! The result has a lot less open space to quilt. The design morphs again! The nine patch becomes the focus. It's amazing how such a simple change can have such a big effect on the final design. 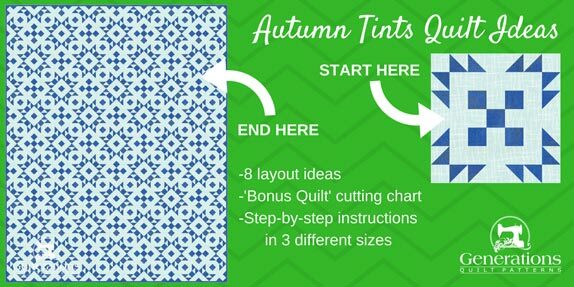 The next Autumn Tints quilt ideas are set on-point, diagonally in this next set of layouts. Each design is four blocks across by five down. 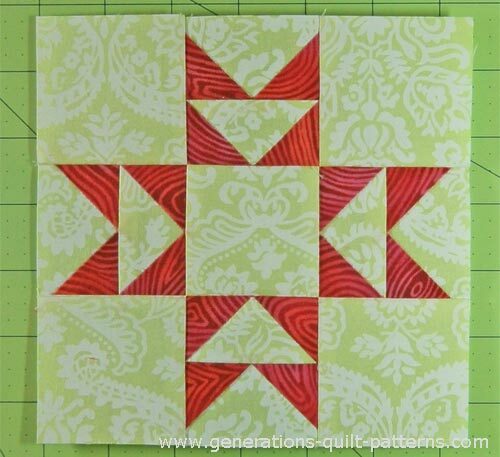 Quarter and half blocks are used to fill in as corner and setting triangles around the edges. 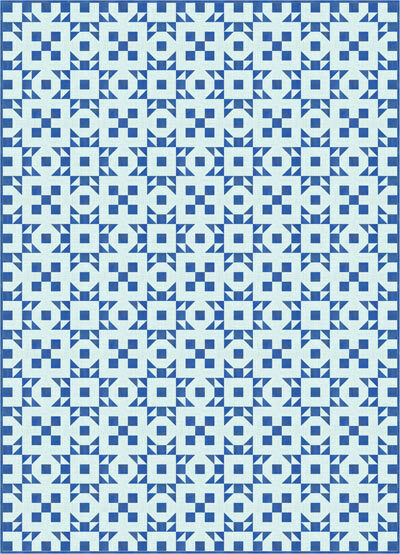 As usual there's a lot more piecing involved in a diagonal set. Again to start off, blocks are joined edge-to-edge. This time, which seems more prominent to you? The Double T design or the Nine Patch? To my eye they seem about equal as compared to the straight set version. 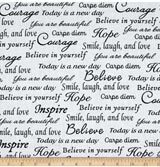 Add simple solid sashings in the lighter fabric and darker cornerstones and you create this design. This almost has a Native American feel to it, don't you think? The extra piecing rather muddles up the design a bit. ...and your design changes to this. You start to get a slight impression of circles—even though there's not a curve anywhere in the piecing. Bonnie Hunter and Lori Holt have done a lot to popularize the idea of 'bonus' quilts—a quilt that is made between the steps of another quilt. Kinda nasty, isn't it? But it does its job well. If you're unfamiliar with the term, check out Bonnie's 'Leaders and Enders' books here. Frequently on this site, in the quilt block tutorials you see me starting a new line of stitching on a 'hairy spider' or anchor cloth. That scrap piece of fabric is eventually tossed when it's too stiff to stitch through any more. 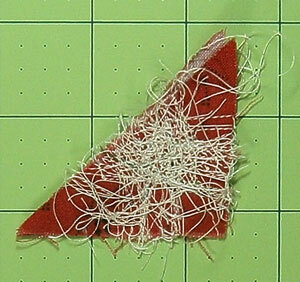 But what if you sewed a pair of patches together instead sewing on a scrap? What if those patches were simple enough that you didn't need to read the instructions to stitch them? Simply pair a light and a dark and feed them through your machine whenever you needed a 'hairy spider'. That's how bonus quilts are made. Our Autumn Tints block is perfect for transforming into a Bonus Quilt pattern. To do so, all that is required is to split the #5 and #6 patches into equal sized smaller squares. The new cutting chart is below. 1**	 Light	 8	 1 7/8"	x	1 7/8"	 2 3/8"	x	2 3/8"	 2 7/8"	x	2 7/8"
2**	 Dark	 8	 1 7/8"	x	1 7/8"	 2 3/8"	x	2 3/8"	 2 7/8"	x	2 7/8"
3, 5, 6	 Light	 28	 1 1/2"	x	1 1/2"	 2"	x	2"	 2 1/2"	x	2 1/2"
4, 7	 Dark	 5	 1 1/2"	x	1 1/2"	 2"	x	2"	 2 1/2"	x	2 1/2"
Unfinished Block Size	 7 1/2"	 11"	 14 1/2"
After pressing and stitching, trim them to the same size as the #3, #5, #6 cut squares, 1-1/2", 2" or 2-1/2" square respectively. Stitch two #5's together before assembling the corner units. Stitch three #6s together before joining the rows. Adjust pressing directions if you'd like to have your seams nest. What will you do with YOUR Autumn Tints quilt blocks?